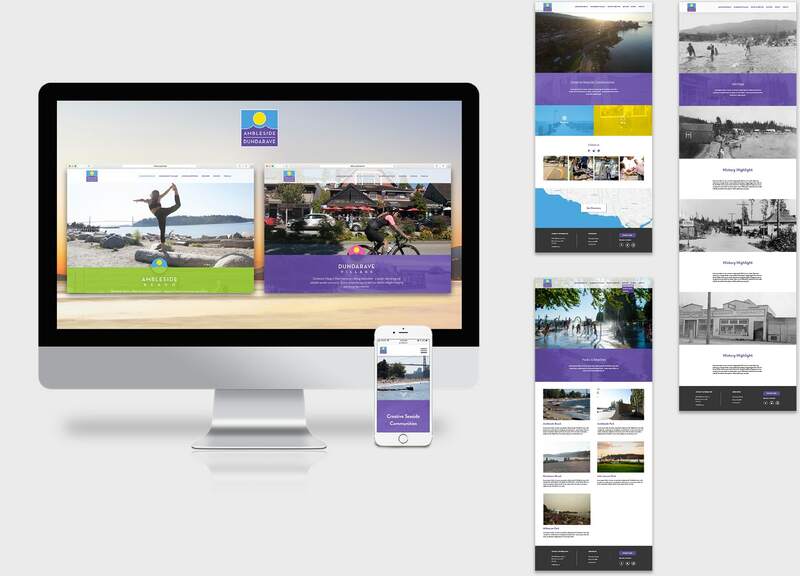 The Ambleside-Dundarave Business Improvement Association is a brand new organization, and they needed a full brand identity, as well as a strategic marketing plan to help raise awareness about the growing commercial area in West Vancouver. 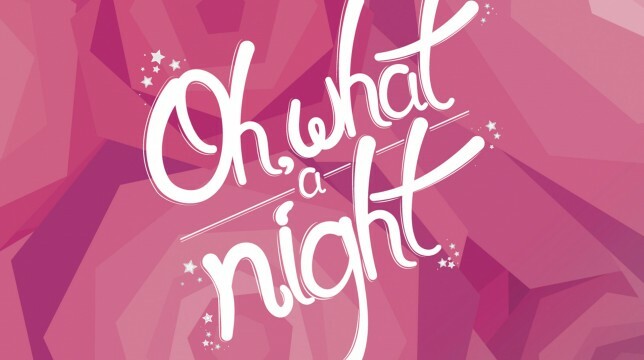 Among the main objectives for this project were to establish a parent ADBIA brand with individual identities for Ambleside and Dundarave, create a three year plan for the ADBIA’s marketing efforts, and encourage local business owners to get involved in the ADBIA’s communications initiatives. 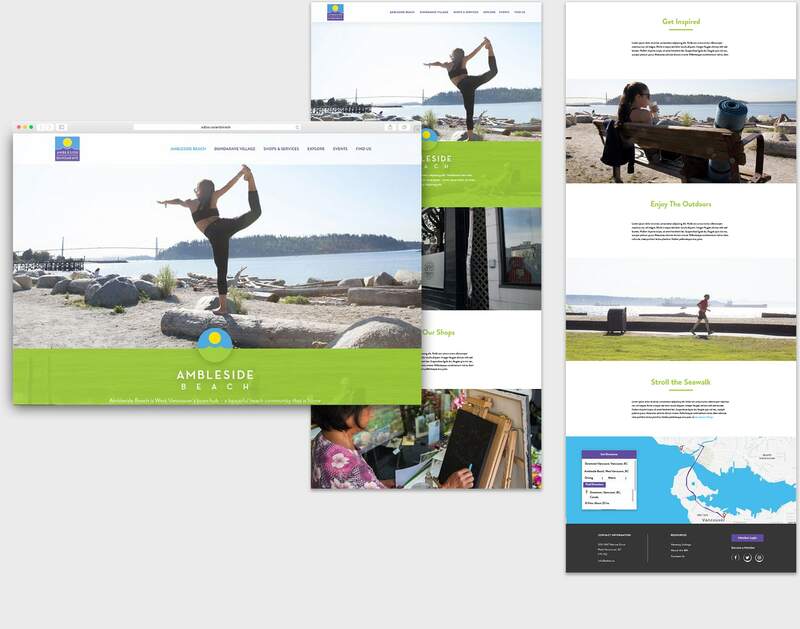 The ADBIA logo family includes customized logos for each specific business area; Ambleside Beach and Dundarave Village in addition to the master BIA logo. The primary challenge that we faced on this project was combining two communities (Ambleside and Dundarave) under one brand (the ADBIA), while retaining individual identities for both communities. This especially concerned business owners from Dundarave, as it is the smaller and more isolated shopping area, and they were worried that they would be forgotten about, and that their businesses wouldn’t benefit from this project. Different pages on the ADBIA website. We also had the challenge of creating a recognizable identity for an area that was relatively anonymous in Metro Vancouver. Since we strive for authenticity at all costs, we wanted to build this identity through gathering public opinion from focus groups, consisting of both West Vancouver and Metro Vancouver residents. Since community involvement and perceptions testing were so important for creating a realistic brand identity for the ADBIA, we undertook two rounds of focus group testing, to figure out how the public viewed Ambleside-Dundarave in the context of Metro Vancouver. The first round of testing involved gathering as much consumer input as we could regarding the current view of Ambleside-Dundarave by locals and those from surrounding areas. 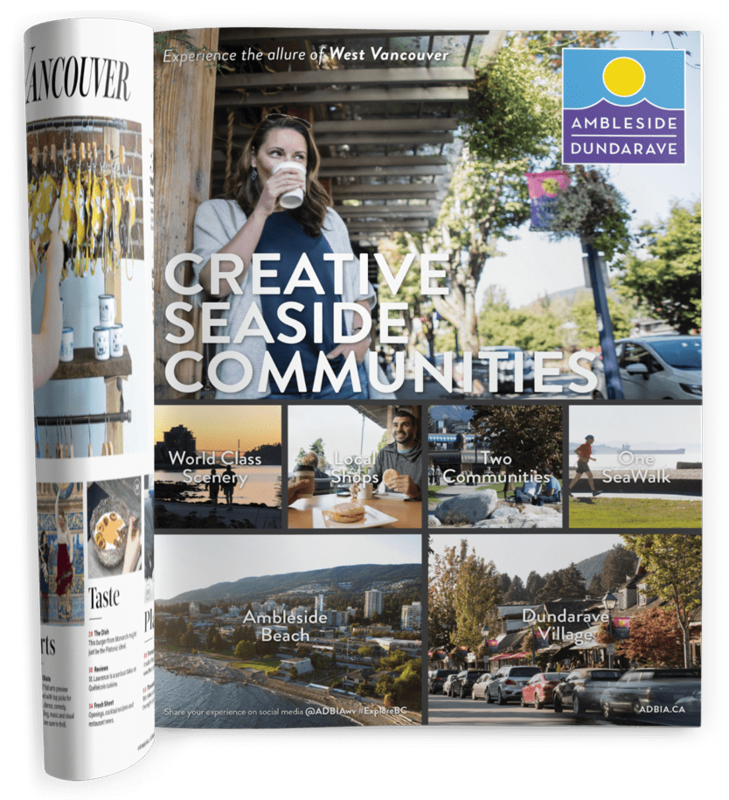 With one group of North Shore residents, and another made up of those living outside West/North Vancouver, we learned about their shopping habits, what factors influence them to visit new places, and their perceptions of the Ambleside-Dundarave area. 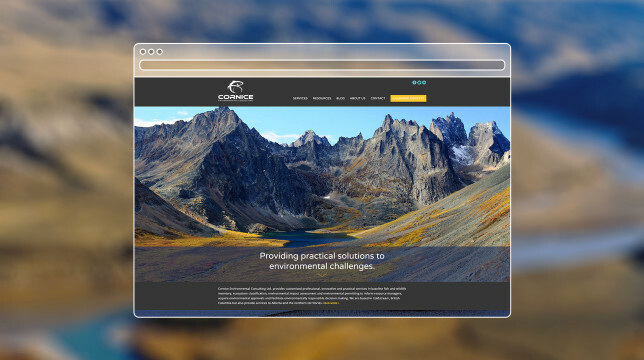 After analyzing the data collected from the first round of focus groups, we began developing the brand identity. Once several creative concepts and messaging approaches were developed, we undertook a second round of focus group testing, to see which direction we had created accurately represented people’s feelings about the area. Using the results from the second round of research, we finalized our logo and brand direction. ADBIA Style Guide colours and usage. Our approach was a simple logo design, with the idea that it could be applied in many different contexts, always giving viewers a fresh perspective on it. The main ADBIA logo reflects the natural beauty of the area, using bright colour blocks. 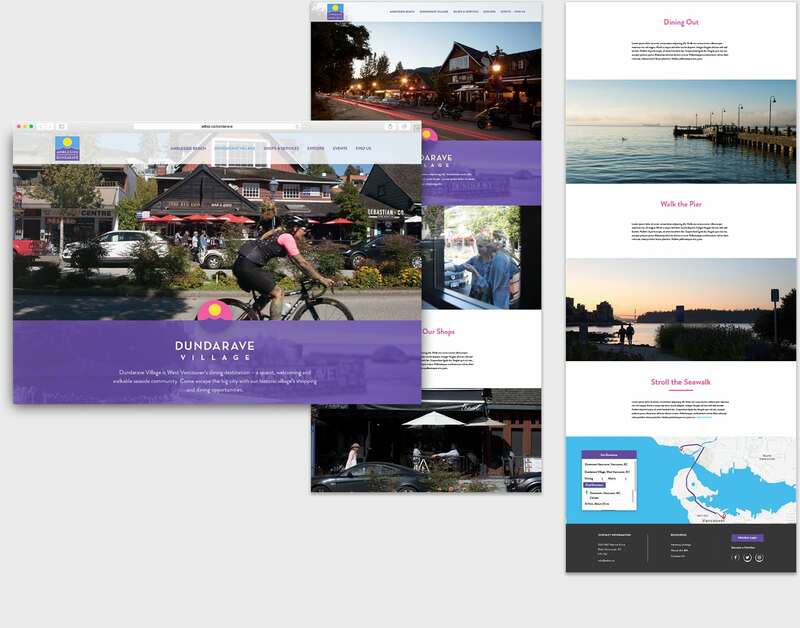 We also used distinctive colour palettes in order to differentiate between Ambleside Beach and Dundarave Village, the neighbourhood sub-brands we created, in order to ensure that both areas were fairly represented under the brand. 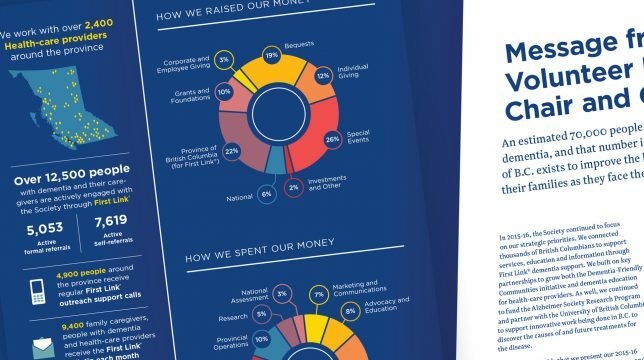 Once our ADBIA brand identity was developed, it was time to begin applying it to all of the brand elements and marketing materials that we had recommended in the strategic plan. We produced everything from an internal brand identity, to street banners hung in the area, to print and digital ads for local and citywide distribution. 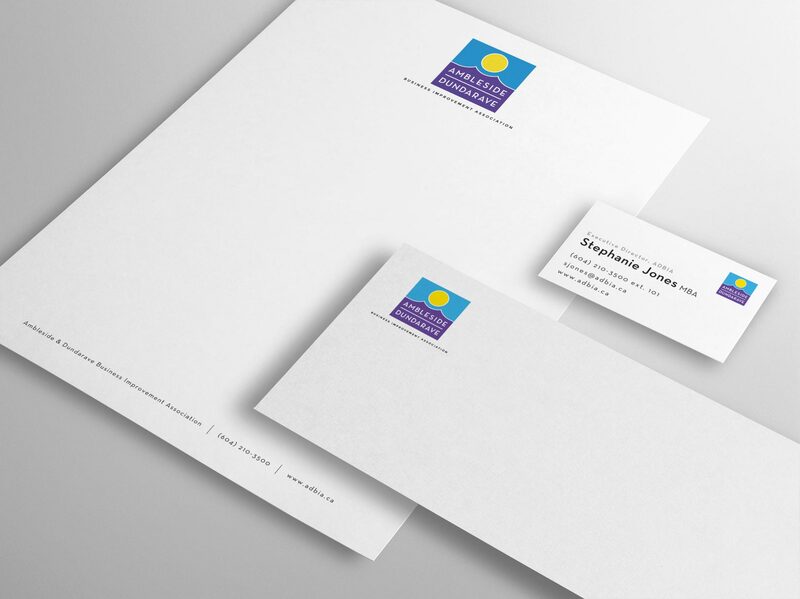 This project culminated with a full brand launch, at the prestigious Beachhouse restaurant in Dundarave. Our Creative Director Kim Pickett, along with our graphic design team, unveiled the new brand to the ADBIA business owners, in a celebration of what we had created, and where the organization was headed under our strategic plan. We also produced branded elements for the brand launch event, including balloons and brand collateral.